Not sure what to do with your summer zucchini crop? 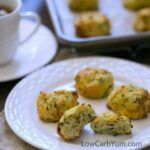 Why not give these low carb zucchini drop biscuits with cheese a try? They are so good! This has been a really good year for our garden zucchini. I think it may be the dry weather because the cucumbers aren’t doing so well. With the abundance of zucchini, I’m getting tired of the usual steamed veggies, bread, and cake dishes. 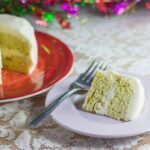 Since zucchini makes a really moist cake, I thought I’d give it a try in some zucchini drop biscuits. 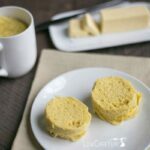 The base for the biscuits is a dough made with mainly almond flour with a little coconut flour. 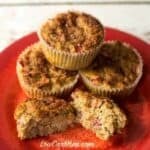 I’m not a big fan of almond flour by itself so I like to mix in a little coconut flour with it. For the cheese, I used a mix of Parmesan and cheddar in the zucchini drop biscuits. 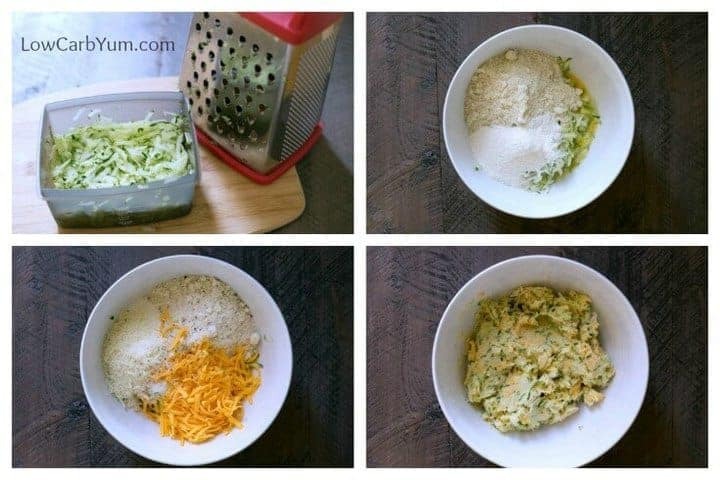 You could probably leave the cheese out and add spices instead. However, I just love cheese and it gives the biscuits a really nice flavor. I made the biscuits fairly small in size. 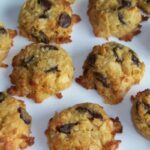 Each was made with a large cookie scoop that’s about a tablespoon or so. Using this size, I got 16 small biscuits. 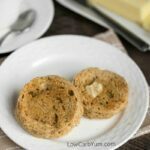 These biscuits made a wonderful addition to my morning eggs and sausage. 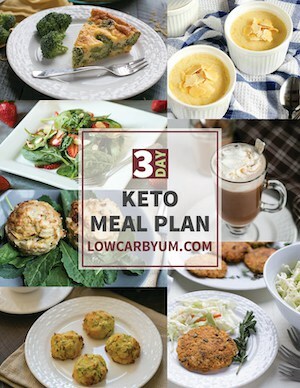 They are also nice for snacking, with dinner or on the side of a salad. It doesn’t take long to whip up these cheese zucchini drop biscuits, either. All the ingredients are just stirred together to form the dough. Then, they are baked for about 15-20 minutes. About 25 minutes total from start to finish! I enjoyed a couple biscuits the next day with a cup of tea in the morning. They were great right from the refrigerator. 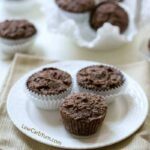 You could heat them up in the microwave or toaster oven if you prefer. 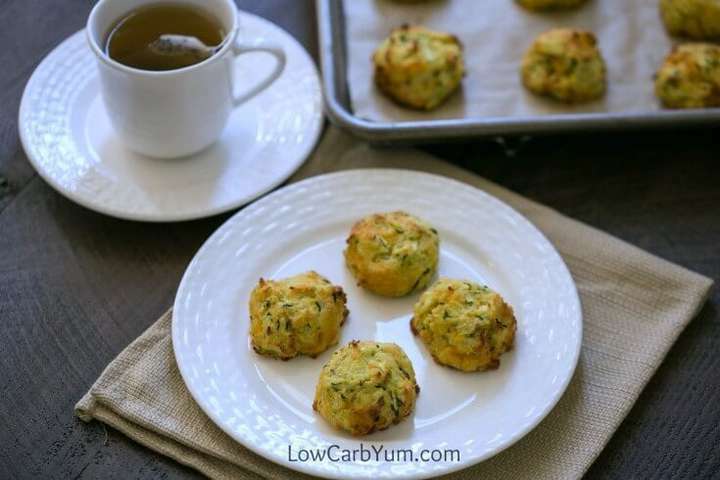 These zucchini drop biscuits are a little different than my garlic cheese biscuits recipe. 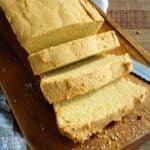 That recipe is made with all coconut flour and it a bit drier than this one. 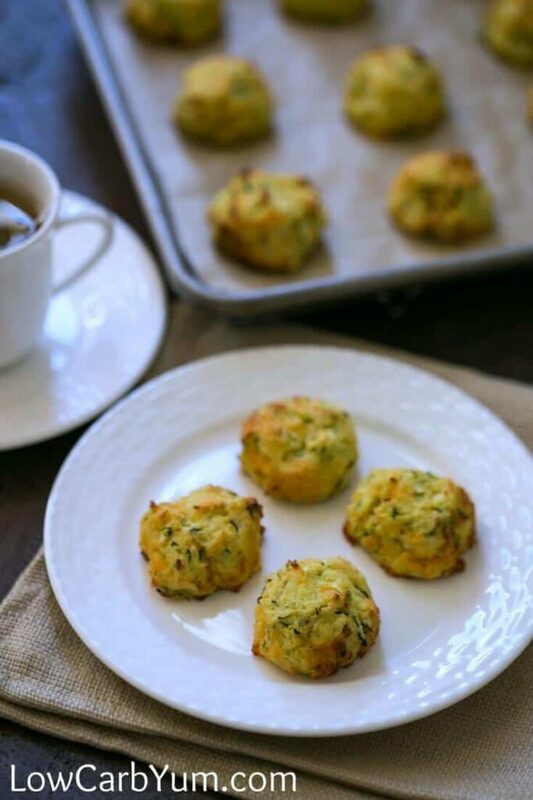 The zucchini provides plenty of moisture for these drop biscuits. I may change up the cheese a little next time. 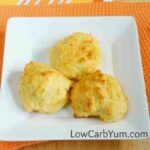 Mozzarella and asiago would be good in these biscuits. 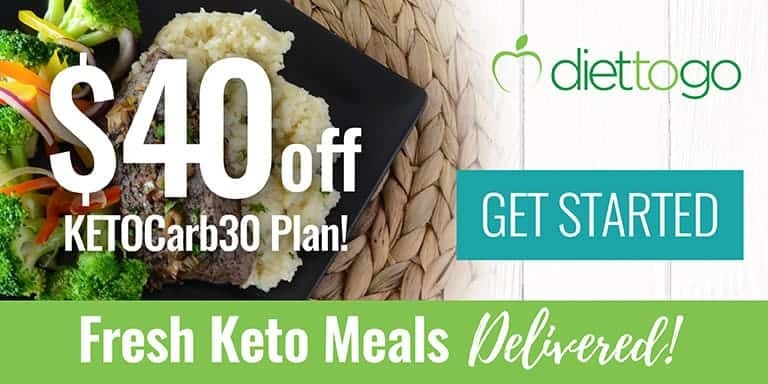 Feel free to change up the flavor with your favorite cheese. 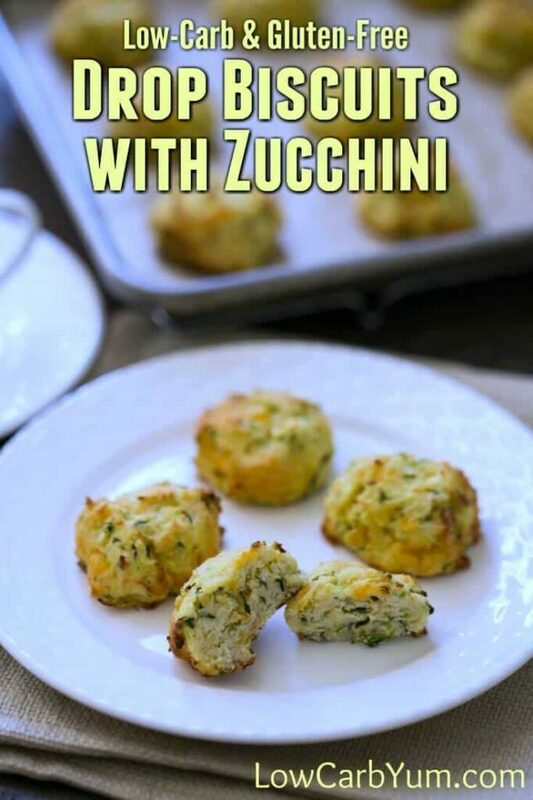 Overall, I thought these zucchini drop biscuits were a terrific way to use up some excess veggies from the garden. And, they would freeze pretty well, too. I’ve got one more medium zucchini sitting on the kitchen counter and a couple more just about ready to pick in the garden. The summer is almost over, so I’ll be buying zucchini at the market once the fall weather hits. What’s your favorite way to use up a bumper crop of zucchini in the summer? Not sure what to do with your summer zucchini crop? 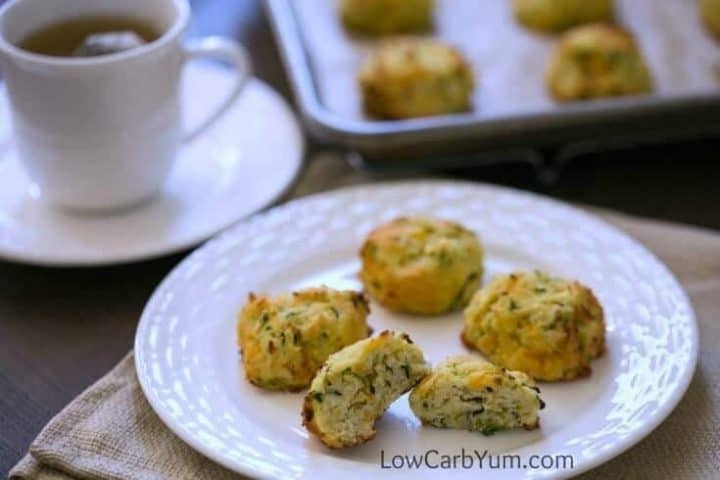 Why not give these low carb biscuits with zucchini and cheese a try? They are so good! 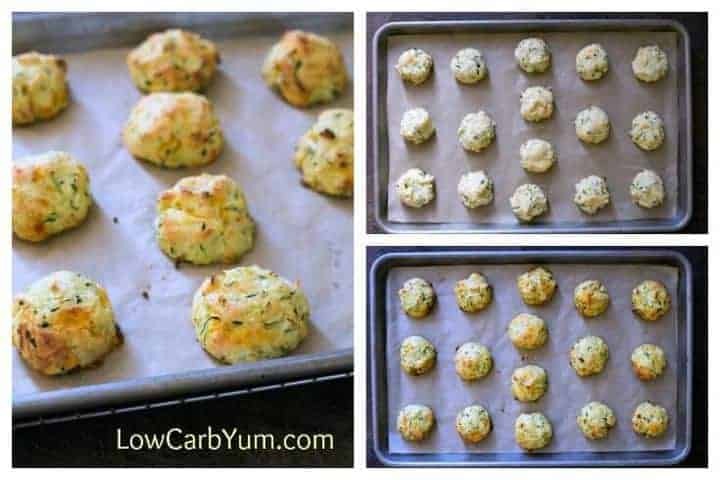 Form dough into 16 even balls using a large scoop and place onto baking sheet lined with parchment paper. 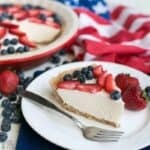 Bake at 425°F for 15-20 minutes or until browned.